You are most than welcome to our talk at the 5th International Conference on Language Disorders in Greek (LDG5) that will take place in Limassol, Cyprus, on the 30th and the 31st of May 2014. You can find more information about the conference here. Typical children’s tonal production has been compared with atypical (SLI and dyslexic) children’s production in an effort to understand atypical tonal productions. To address this issue a priming test has been delivered to typical and atypical children aged between 4-years and 11-years old; further comparisons were undertaken with typical adult speakers group, which served as a control group. 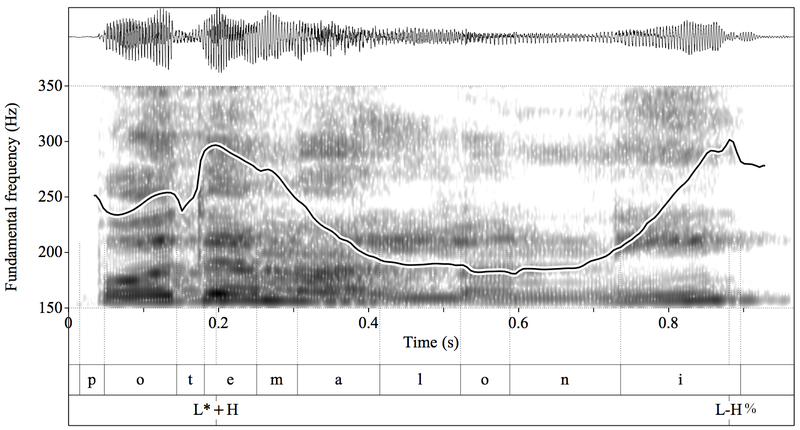 The prosodic acoustic properties, namely fundamental frequency (F0), intensity and duration were examined as correlates of Wh-Questions in Cypriot Greek. The results showed that atypical speakers when they fail to produce typical melodic patterns they compensate by exploiting excessively secondary means such as duration and pause. These findings underline speaker’s compensatory techniques to convey meaningful distinctions.